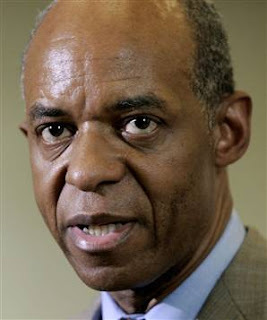 As I suspected, the reason Democrats didn’t immediatly jump up and denounce Rep. William Jefferson after his indictment and demand that he be stripped of his committee assignments was so that he could do so on his own. Hopefully, Jefferson will now have the decency to resign from Congress and not drag his constituents and his party through a protracted fight. In the meantime, everyone should remember that when former Speaker Tom DeLay was indicted the Republican response was to award him a choice seat on the House Appropriations Committee.